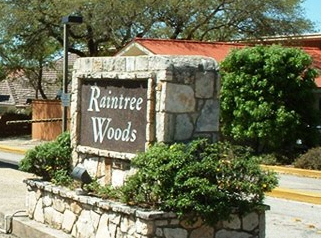 The activities of the Raintree Woods Homeowners' Association are administered by a seven member Board of Directors. These individuals serve on a voluntary basis for a term of three years and are elected at an annual meeting in January. All residents are eligible to serve as a board member (no experience is necessary) and everyone is encouraged to serve in some capacity - either on the Board or as a committee member. Willing volunteers are needed for the Architectural Review Committee, Beautification Committee, Security Committee, and other year-round committee and spot projects. The benefits of your contributions means a safer, more beautiful Raintree Woods and an appreciating real estate investment! Board meetings are held the first Wednesday of each month, beginning at 7:00 p.m., in the Fair Oaks Ranch Homeowners' Association Building, adjacent to the Fair Oaks Ranch City Hall, 7286 Dietz Elkhorn. (See the calendar for scheduled meetings.) All residents are invited and encouraged to attend. Please contact any board member at least 7 days in advance if you would like to have an item placed on the agenda or if you have any questions or if we can be of assistance to you. Articles of Incorporation of the Raintree Woods Homeowners' Association, Inc.